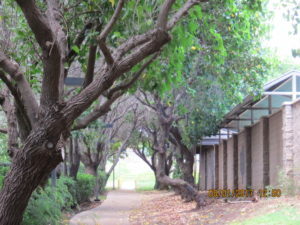 We had some inquiries and comments about Kihei trees, as well as the upcoming Maui County Arborist Committee (MCAC) meeting relocated to Kihei next Wednesday (the usual meeting place each month is at the Memorial Colosseum in Wailuku). 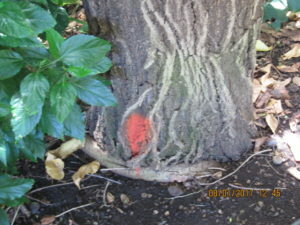 As so often before, we will use pictures in place of thousands of words to describe the issue. 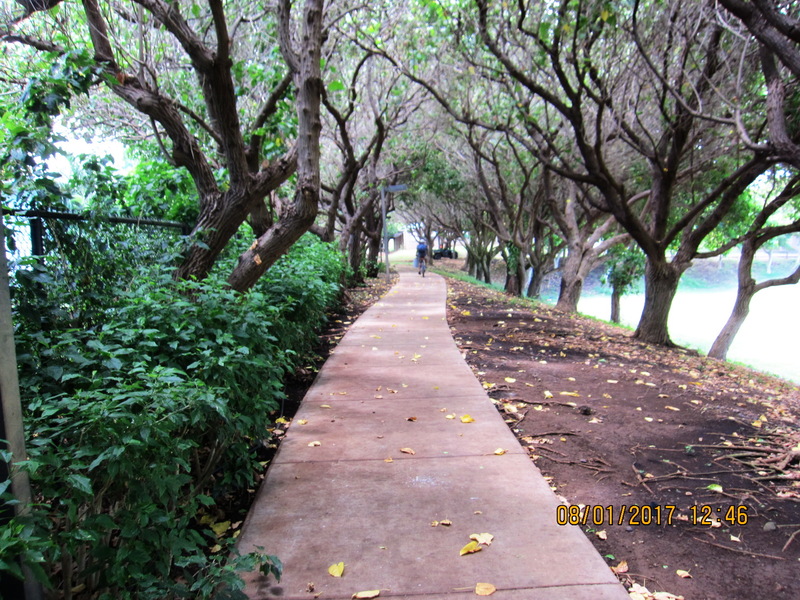 The meeting will be at the Kihei Community Center on Lipoa commencing at 1:30 PM on August 9, 2017. 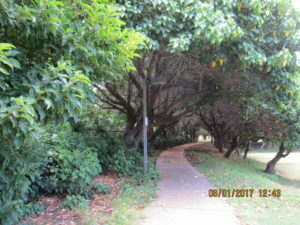 It is open to the public and testimony is accepted at the start of the meeting. 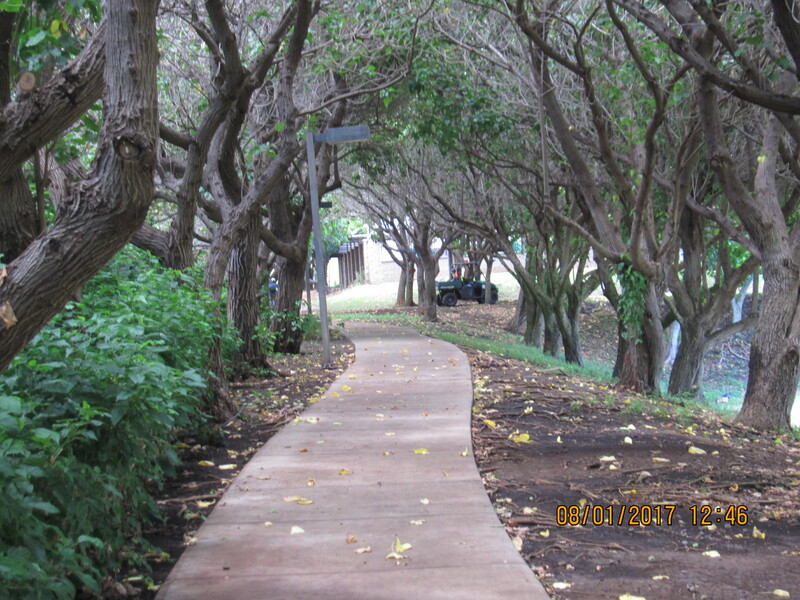 Our understanding is that both Kihei trees and the KCA are on the agenda, so you can voice your concerns, orally or in writing (or both). 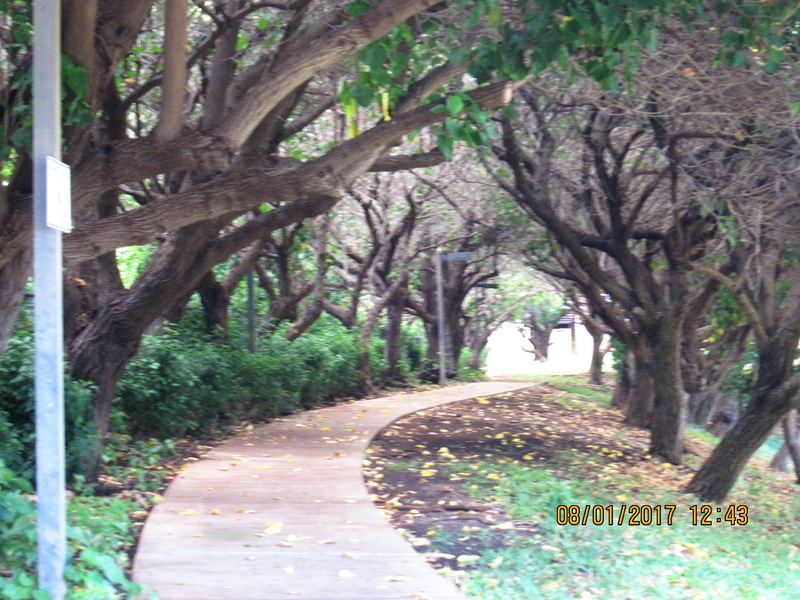 We believe it will be in the large center there. 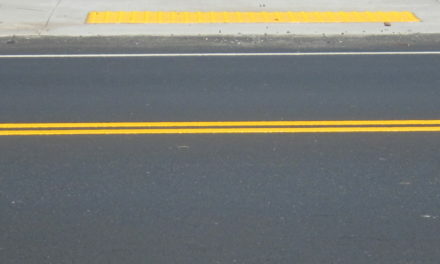 Also we had incorrectly called it an advisory committee, but while it does offer opinions and advice to the County Council, it has authority under the County Code. 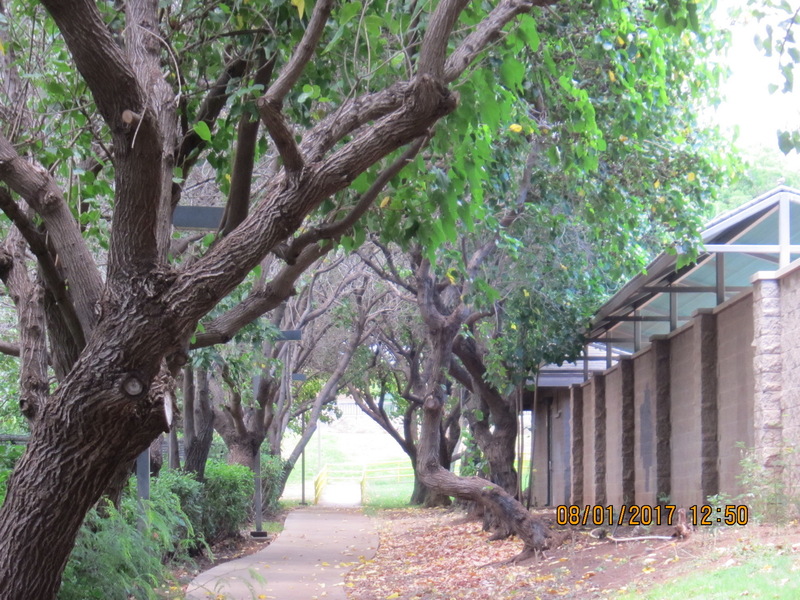 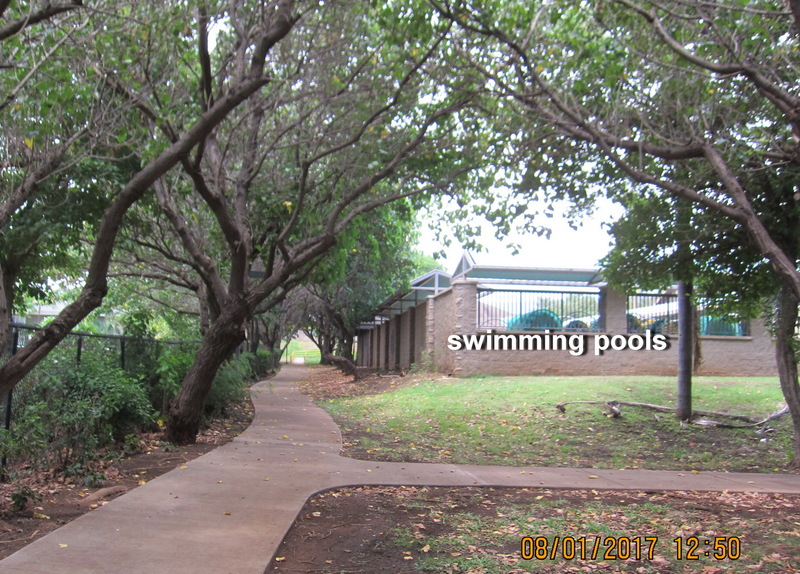 Then the trees: the latest concern around retaining and preserving trees in Kihei was brought about by reports that a grove of mostly Milo trees that basically lines a path that runs from the sidewalk on Liloa mauka to the center of the Community Center primarily between the swimming pool complex section and a private apartment complex that boarders it, but separated by fencing. 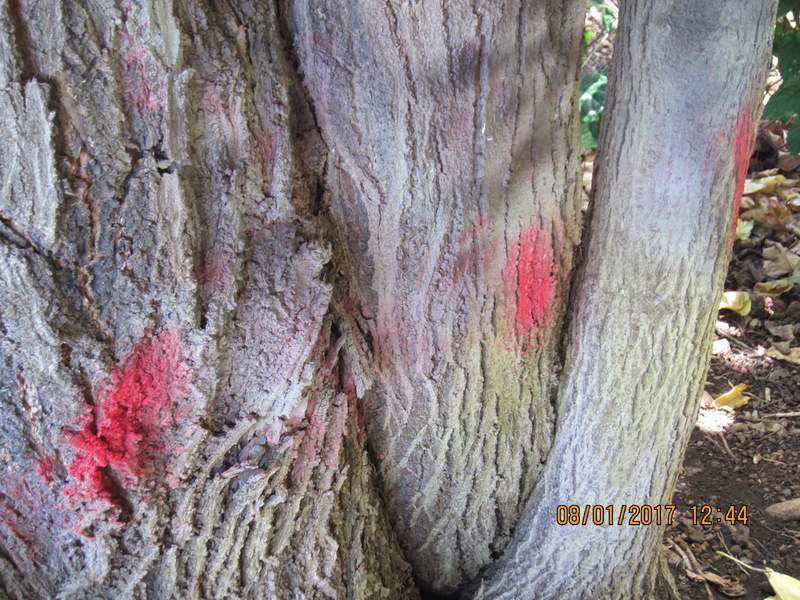 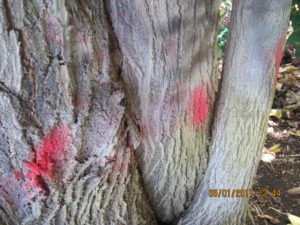 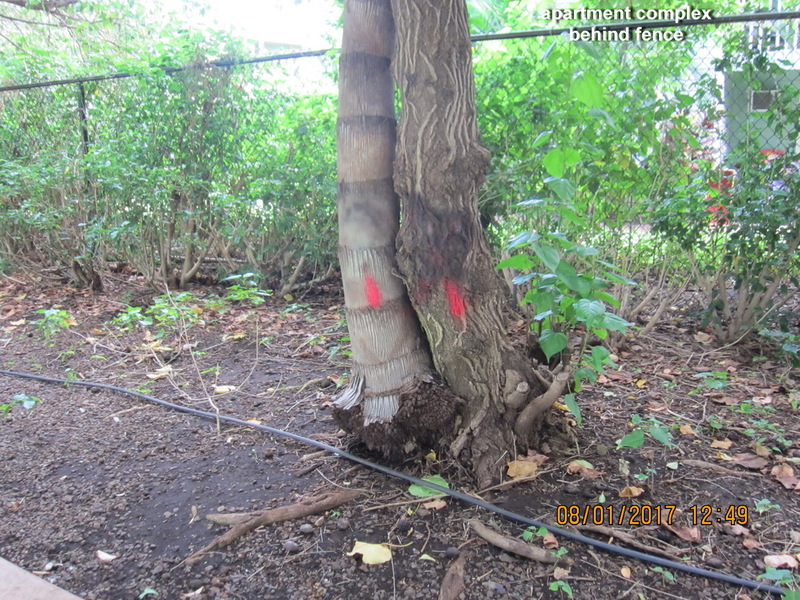 A large number of the tress were spray painted with a red “X”, which to us indicates proposed removal..
As you can see from the accompanying pictures, many of the trees now have a modified red paint marking. This change occurred after a public outcry which included calls to Parks & Rec, as well as Kelly King’s office. 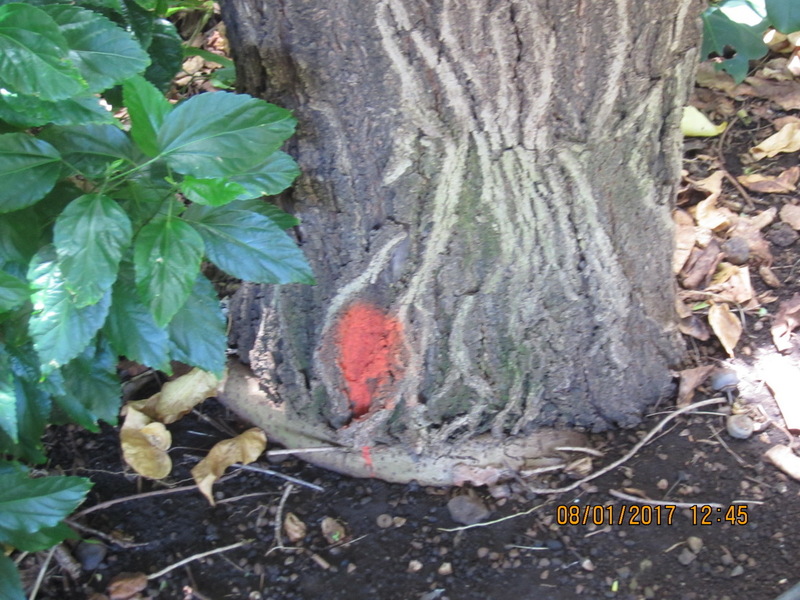 There is some indication that the change in marks is to now indicate that the designated trees are to be trimmed rather than removed. 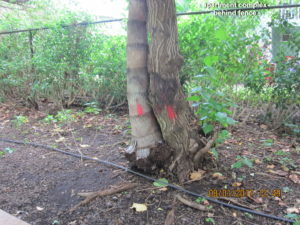 Our understanding was the original plan was because of some unclear claim that tree removal was related to homeless individuals congregating in the area, mostly after dark. 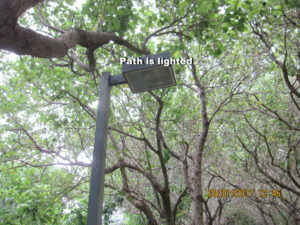 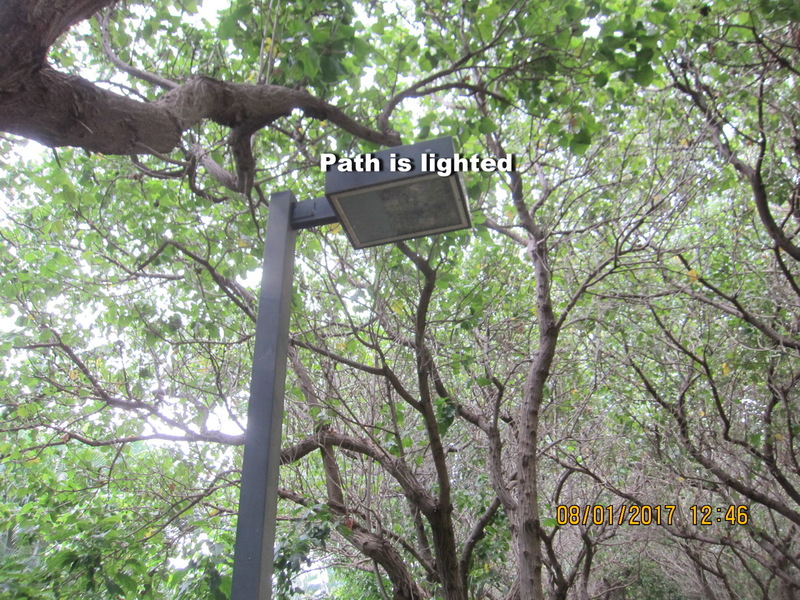 (We note that the path has several overhead lights.) 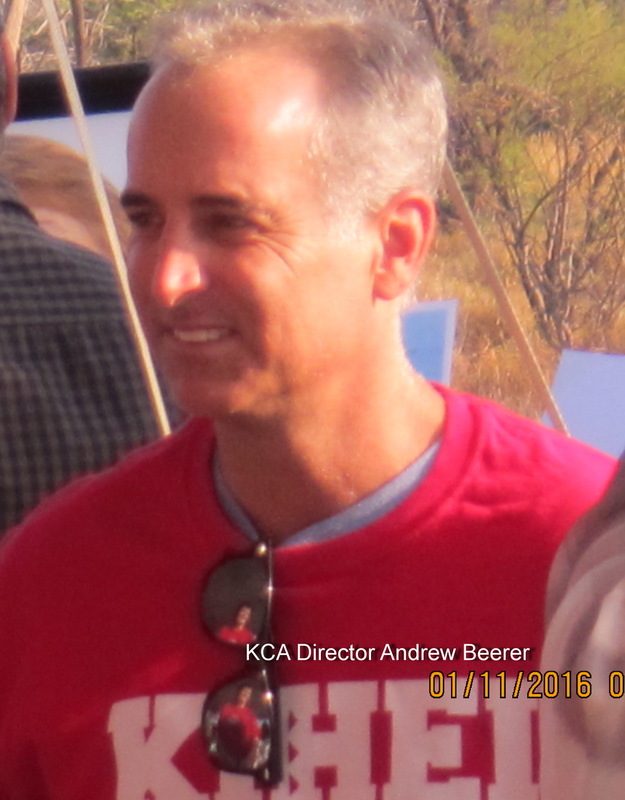 A proposed plan offered by Kelly King for a meeting with Parks and Rec, possibly including the Department Director Ka’ala Buenconsejo, at the site, including concerned community members, has so far not materialized. 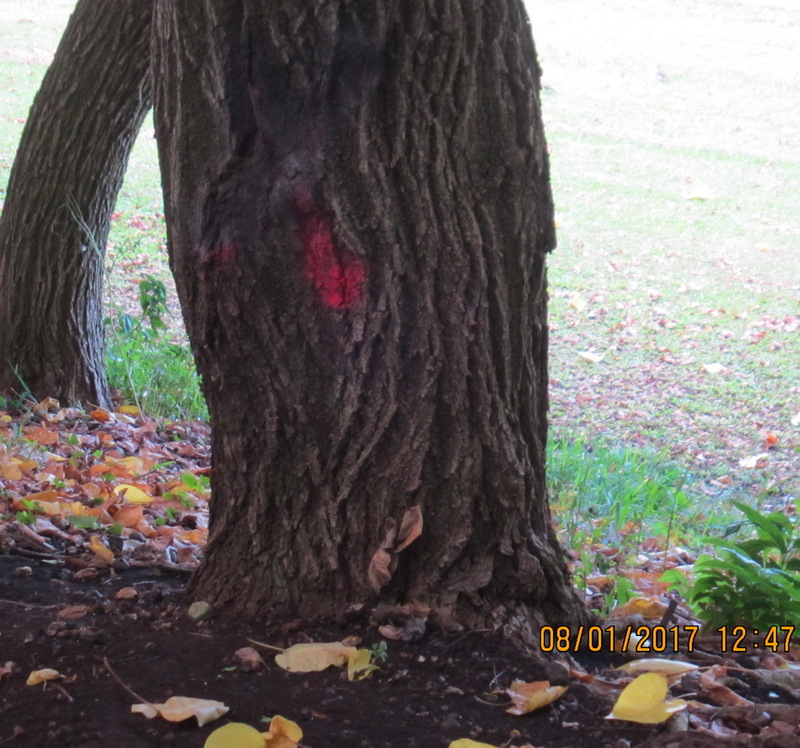 We believe that the community is concerned that the marked grove at this location is just another example of continuous reduction of greatly needed trees in our district. We understood at the last MCAC meeting that the move of the upcoming meeting to Kihei was in part to include the Director, but we have no indication he will attend. 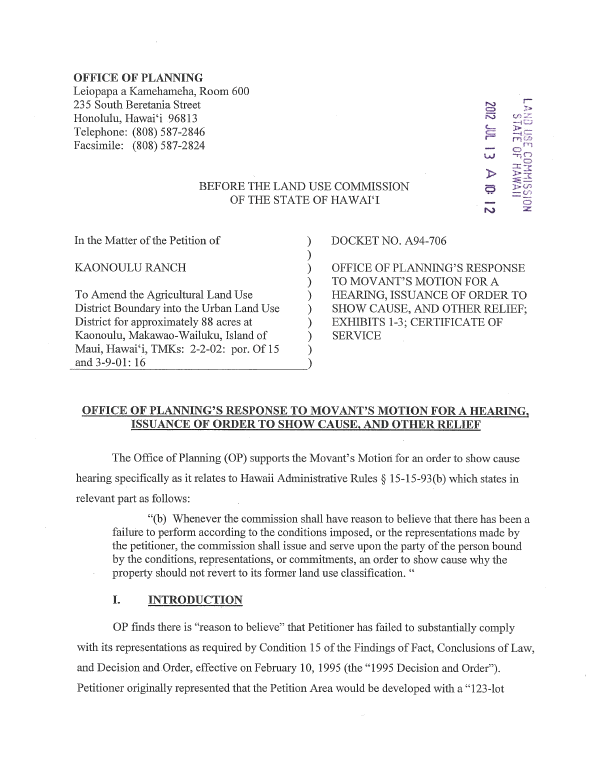 We cited in the July 12 post that Department Directors (or their reps) are listed as “ex officio members” of the committee, but have no indications they even attend any meetings. 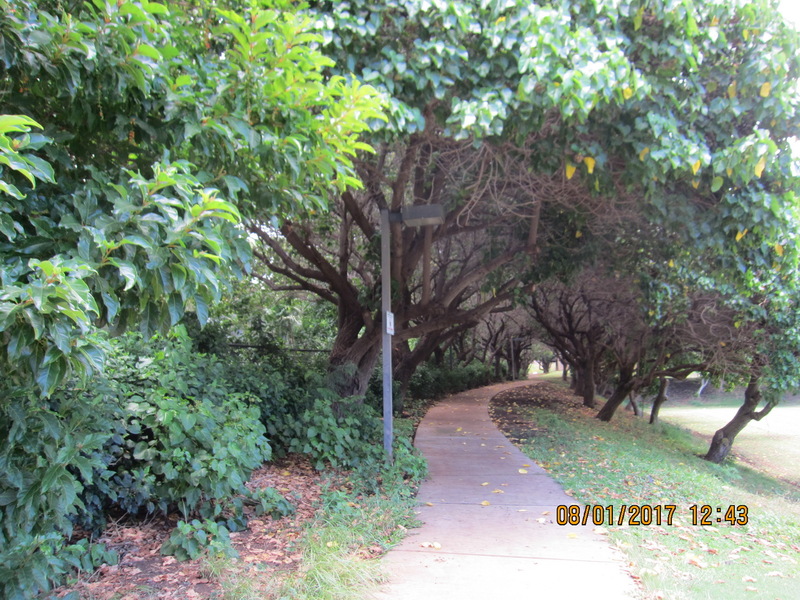 We encourage any concerned community members to try to attend this upcoming meeting. 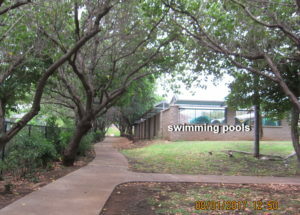 We intend to be there. 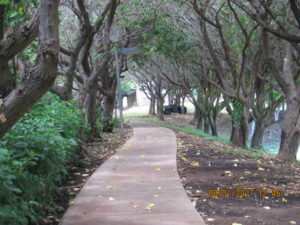 PreviousHelp ensure South Maui near-shore waters are safe?